• Giving them objective, helpful feedback. • Acting as a sounding board for new approaches. • Identifying blind spots that may be holding the performer back. • Reinforcing key values, principles, and behaviors that improve performance. • Recognizing positive behavior and performance. • Acting as an accountability partner. • View coaching as babysitting. • See coaching as only correcting performance. • Don’t spend enough time with their employees. • Are reluctant to criticize. • Have social relationships with their employees. • Have a “sink-or-swim” philosophy. • Believe coaching is not helpful or meaningful. “Have everyone on the team focus on the same goal.” And, the leader must effectively communicate that goal to the team. According to Williams, in a commentary he wrote for the magazine, the third point is the most challenging to address and where leadership may be the most critical. And, I totally agree. Therefore, if you lead a team at work or within an organization, one of the best ways to work with each of your team players is to tailor your motivation techniques for each individual, and then be prepared to tweak those techniques if necessary as each person grows. Williams was the head coach at the University of Kansas from 1988 to 2003 and is now the head coach for the North Carolina Tar Heels. He was elected to the Basketball Hall of Fame on April 1, 2007 and has won the Associated Press Coach of the Year award twice. “Coaching may actually save time by preventing extensive retraining or intervention to get a failing employee back on track or keep the person from falling off course in the first place,” explains Strigl in his book, Managers, Can You Hear Me Now? Find the right match. Find someone to push and challenge you. To encourage you and to hold you accountable. Be sure the person you engage with is a person you can trust and can talk to easily. Be aware of your company’s expectations. If your boss hired the coach to work with you, make sure your boss, and your boss’s boss, share their expectations and hoped-for outcomes with you. Then, make sure your coach knows that those things belong at the top of your goals list. Get your money’s worth. 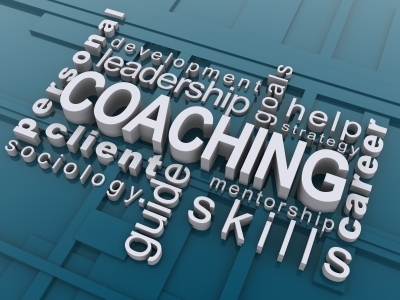 Work with your coach on issues or questions that have a direct correlation to success in your job. Be sure your coach sees you in action. Allow your coach to observe you interacting with your peers or direct reports. This also gives your colleagues a sense that you’re seen as valuable and promotable. And, it shows them that you’re working on improving yourself. The Coach shows empathy through a mixture of tough love and strong support. The coach is not afraid to push you because she sees the best in you. This leader has a good sense of what’s going on in the rest of your life and isn’t afraid to mention it as it relates to your performance and potential. The Mentor makes you feel that your success is always top of mind. Mentors have your back to guide you along in your career. They will act as a confidante as you hash through ideas and won’t hold it against you as your iterate. Because they have done well, they operate from a point of helping others do the same. Am I leading or am I part of a group of talented individuals who have been thrown together as a team? Am I leading or am I part of a great team who has members who are talented? Number 2 is far more powerful and will win more frequently and more reliably.